He runs at you with the ball. He looks at you. Determination in his eyes, seriousness in his look. A tinge of fear slowly sends shivers down your spine, as you stand back and hold your ground. In that one second, it's on. There can only be one winner and one loser. No surrenders, no take backs, no half-hearts. No change of mind. All in. In that one second, it's war. A player named Guerra started in the lower categories of local club Vélez with his twin brother Emilio, progressing from teams ranging from the benjamín to the cadete till the age of 15 . He would play for Málaga in the cadete and juvenil teams till 1999, where Manel Casanova, the head of La Academia at the Rosaleda club, engineered his move to Espanyol to the juvenil team in the División de Honor for the 1999-00 season. Over there, position coach 'Tintín' Márquez changed his position to that of striker; before then, he had played as a midfielder, in the center or on the wings. He subsequently graduated from Vilassar de Mar's academy. But in January 2001, the two twins were separated. Javi Guerra kick-started his senior career at Vilassar de Mar six months later, in the Tercera, followed by Motril in the Segunda B in 2002 and Cádiz in the Segunda in 2003. His meteoric rise ended here, as he never really got a chance at Cádiz and six months later, in January 2004, he signed for Varzim in the second division of Portugal for six months. Which meant that by 2004, at the age of 22, Javi Guerra had already tried, and failed, at his first shot in the Segunda. Emilio had, by January 2001, already made his senior debut for Vilassar de Mar, but left for Reus Deportiu's juvenil side, playing for the senior team six months later in the Tercera. His performances earned him a move to Segunda B side Figueres six months later. Once again, six months later, in the summer of 2002, Reus, now in the Segunda B, signed him again for a season. And one season later, in the summer of 2003, he joined Linares, playing there for six months and at Palamós for the other six - both in the Segunda B. In the summer of 2004, Javi signed with Valencia B, where he stayed for three seasons - two in the Tercera and one in the Segunda B. During that time, Emilio was in the Segunda B for one season with Sabadell, and dropped down to the Tercera for two seasons with Granada Atlético and Zaragoza B, scoring a whopping 22 and 42 goals respectively. But Javi had also made his La Liga debut, playing two games in the 2006-07 (for a grand total of 15 minutes) against Getafe and then Espanyol. What followed in the summer of 2007 was one player getting a chance and the other not - Granada 74 in the Segunda signed Javi but not Emilio, who moved to Tercera side Barcelona B.
Javi had got a clear cut chance - and he thrived. Scoring eight goals in 39 games, he earned himself a move to Mallorca in La Liga, going on loan to Segunda outfit Alavés, where he scored nine goals - and became the break-out star on everyone's lips. That, in turn, led him to a loan move to Levante in the same tier in the summer of 2009, where he topped his record once again, scoring 12 goals and getting the Valencian side promoted. Signing for Segunda's Real Valladolid permanently, he topped his record in the 2010-11 season once again, scoring 28 goals. And 17 goals in the 2011-12 season with Valladolid led to promotion, and Javi's first proper shot at La Liga action - at the age of 30. In contrast, Emilio didn't get a chance, but rather a series of half-chances. His performances at Barcelona B, where he scored 13 goals, earning him a one-year contract renewal. However, Luis Enrique, who had asked for the renewal, told him that his "attitude in training" wasn't good enough and excluded him. This led Segunda B's Atlético Madrid B to snap him up in 2008, where he played for a season, scoring six goals in 26 games. In 2009, he would sign for Atlético Ciudad in the same tier, but six months and four goals later he finally got a break. Well, not so much as a break as 306 minutes in the latter half of a season with Segunda side Castellón who looked set for relegation within the first few months. 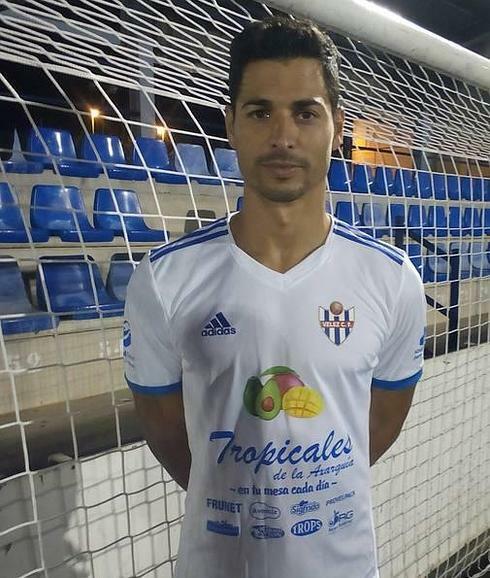 Emilio never got the break he deserved, and he returned to the Segunda B, playing for two seasons at Benidorm and Puertollano, where he scored six and seven goals respectively. From there the paths of the two brothers could not have been more different. Javi went on to play two seasons more with Valladolid, scoring eight and 15 goals respectively, before earning a move to Cardiff City in the Premier League in the summer of 2014, before returning to Málaga on loan six months later. Five goals in 13 games proved that he still had it, and he moved to La Liga side Rayo Vallecano. He still plays for Rayo, and he is still a professional at the age of 35. Emilio actually gave up on the Segunda B and moved to the Tercera. A league that once again was clearly below his level, as he scored 26 goals in 37 games for Atlético Malagueño. He went on to move to Greece, signing for second tier Kavala in 2013, then moved six months later to Săgeata Năvodari in the Romanian first tier. He stayed there for the entire 2014 calendar year, but the club's relegation six months in, and the subsequent dissolution of the club in the winter, led Emilio to sign for Academica Clinceni, also in the Romanian second division, for six months. And since the summer of 2015, while Javi has played for Rayo, Emilio has played for the club where it all started - Vélez, in the Tercera. Is he still too good for the Tercera? No doubt - he has scored 14 goals in each of his last two seasons, and this season has scored five already (as of the 16th of October). But he never got a clear-cut chance. Like too many players, the reality is that there are hidden gems who will never have stable, professional careers. On 15th March, 1982, in Vélez, twin brothers Javi and Emilio Guerra were born. Their surname, Guerra, means war - an embodiment of what they did on the pitch, fighting tooth and nail to gain any advantage they could. And as a result both turned out to be excellent strikers - 181 cm tall, good in the air, adept on the ball and capable of powerful shots. But while both players are capable of taking good shots, only one of them got a good shot. The other is at his 19th club, resigned to not getting his, and being forever known as the brother of the player that did. Table: Career trajectories of Javi and Emilio Guerra from the summer of 2000 onward, with incremental steps of six months. Amazing to think that Emilio Guerra has played for a whopping 19 clubs, and Javi has played for 12 - a combined 30 different clubs!